I spent the past two days in Cambridge, primarily around MIT, and almost exclusively talking about the ?Arab Spring? and what we?ve learned about social media and protest in authoritarian states. Early Wednesday morning, the MIT Museum hosted a ?soapbox? session, which put Dr. Marlyn Tadros and me in dialog with Egyptian protesters and bloggers, including Mahmoud ?Sandmonkey? Salem, who I was thrilled to meet virtually. Events via video are tricky, and there were some issues with sound quality for the folks watching in Cambridge, but the resulting video of the event is excellent. The term ?mobile banking? was not something I expected to hear during Berkeley?s recent Technology and Human Rights conference. But in his closing speech, Eric Brewer briefly mentioned mbanking in the context of repressive regimes shutting down cell phone networks. More specifically, as mobile banking services continue to grow in developing countries, so do the opportunity costs of interrupting access to mobile phone networks. While Eric didn?t refer to the ?Dictator?s Dilemma? or Ethan Zuckerman?s ?Cute Cat Theory?, he was describing those dynamics. The social-technical dynamics of ICT-based networks constitute organisation in ways substantively different from networked organisations (unions, state, firms, universities). My interest in this paper is to say a few things about the process of scalar transformation and transdisciplinarity as they relate to the invention of new institutional forms. Having established these background conditions, processes and practices, I will then move on to the topic of autonomous education. SELF ORGANISING is a series of workshops and discussions on self-organisation and non-hierarchical work practices. The encounters aim to provide an initial platform to reflect on current practices, establish networks and create shared concept-tools that can be used in different situations. The guests will offer some points of departure for the participants to take elsewhere. We hope that this project may continue and transform itself based on the inputs and desires of all those involved. Are Online Behaviours Affecting Reading Skills? In my final weeks of school our class had our usual Tuesday afternoon guided reading session, where we get the opportunity to work on some reading text with a small group of children. One particular comment from a pupil has stuck in my mind, so I thought I would share some of my reflections with you. 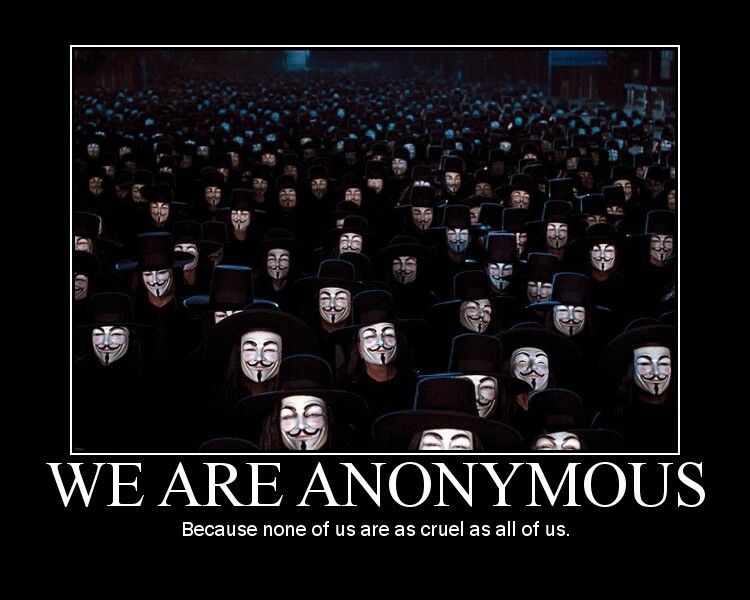 ?Who participates in Anonymous? What connects the different faces? Where and how does authority lie, pool, and disperse? Technically, Anonymous is open to all and erects no formal barriers to participation. However there are forms of tacit and explicit knowledge, skills, and sympathies that lead some people and not others to politically engage in this domain. In contrast to most organizations, including Wikileaks, it is easier to contribute to Anonymous as it offers numerous micro-protest opportunities coordinated at the drop of a hat, among other possibilities for participation. I?m excited to be nearing the completion of my dissertation research. As regular iRevolution readers will know, the second part of my dissertation is a qualitative and comparative analysis of the use of the Ushahidi platform in both Egypt and the Sudan. As part of this research, I am carrying out some content analysis of the reports mapped on U-Shahid and SudanVoteMonitor. The purpose of this blog post is to share my preliminary analysis of the 2,700 election monitoring reports published on U-Shahid during Egypt?s Parliamentary Elections in November & December 2010. Microsoft Research Group researchers danah boyd and Alice Marwick have posted a draft paper entitled “Social Privacy in Networked Publics: Teens’ Attitudes, Practices, and Strategies” that reports on fieldwork interviewing teenagers about how they view privacy. It rebuts the cynical, easy dismissal of online privacy issues that says that kids don’t care about privacy because they put their lives on Facebook; instead, it provides compelling testament from everyday kids that their use of Facebook and other social networks is governed by privacy norms because kids can’t influence privacy laws or privacy code or privacy markets. In other words, kids have definite ideas about privacy, but limited power to put those ideas into practice. The IRC servers used by AnonOps have been compromised and taken over by “Ryan,” who is reportedly a young man in Essex, England. These servers were used to plan and coordinate many of the denial-of-service attacks that flew the Anonymous flag, including the recent attack on Sony. Ryan says he seized control of the servers and lots of other infrastructure in protest of a secretive cabal of Anonymous “leaders” whom, he claims, secretly steer Anonymous’s debate over which targets to hit and for how long using private IRC channels. In the fall, Alice Marwick and I went into the field to understand teens? privacy attitudes and practices. We?ve blogged some of our thinking since then but we?re currently working on turning our thinking into a full-length article. We are lucky enough to be able to workshop our ideas at an upcoming scholarly meeting (PLSC), but we also wanted to share our work-in-progress with the public since we both know that there are all sorts of folks out there who have a lot of knowledge about this domain but with whom we don?t have the privilege of regularly interacting. CNN gives in. Octavia Nasr gone. hell yeah, blogging seems to back;) a cyberculture roundup.. 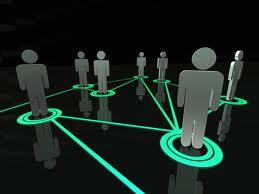 Previous On May 15, the First major protest against increasing pressure on web users….